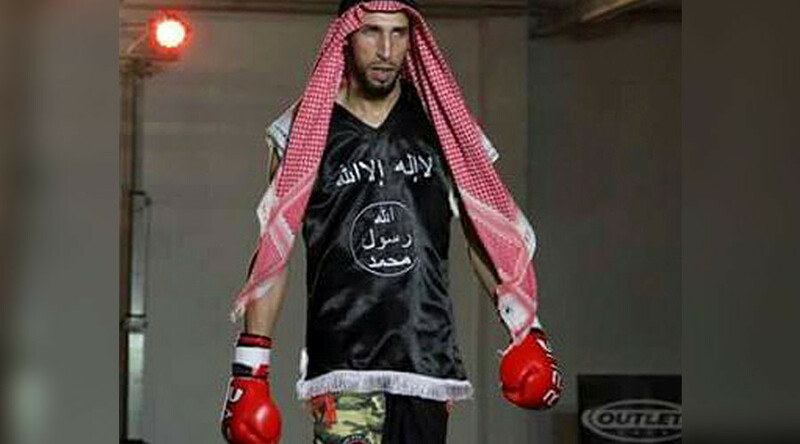 A Moroccan kickboxer, his wife, and two other Moroccans have been jailed in Italy over links to Islamic State (IS, formerly ISIS/ISIL). The jihadi sportsman allegedly “considered” staging an attack on Vatican. Competitive kickboxing champion Abderrahim Moutaharrik was handed a six-year jail term while his wife Salma Bencharki was sentenced to five years in prison, according to the AGI news agency. The couple was arrested along with two other Moroccans in the Lombardy province of Lecco last year during a joint investigation by Italy’s anti-terrorism agency, the General Investigations and Special Operations Division (DIGOS) and special operations group of Italy’s carabinieri police force (ROS). The two other people snatched in the April raid were also convicted over links to international terrorism. Abderrahmane Khachia and Wafa Koraichi got six and three years plus four mounts of house arrest respectively. The authorities wiretapped the phones of the kickboxer and his wife and discovered the pair was planning to travel to Syria, along with their children then aged two and four to join IS. Recorded phone conversations have reportedly indicated that Moutaharrik had allegedly “considered” staging an attack in Italy “with particular attention to the city of Rome” and the Vatican. The kickboxer’s lawyer, however, denied the accusation after the conviction and said his defendant intended to appeal Milan court’s ruling. Wafa Koraichi, is a sister of Mohammed Koraichi, who is believed to be an IS fighter and the mastermind behind the alleged atrocities planned by the group. Mohammed Koraichi has reportedly travelled to IS-held areas along with his Italian wife and three children. Their current whereabouts are unknown. Oussama Khachia, the brother of the other convicted Moroccan, Abderrahmane Khachia, was expelled from Italy early in 2015 for promoting radical Islamic ideas and is believed to have died in Syria last year, according to media reports. Abderrahmane himself planned to join the terrorist group in Syria but was arrested before he could do so. Italy, as a “Mediterranean gate” country through which refugees and migrants flock to Europe, has faced an alarming jihadist infiltration, which poses a serious threat to its security. Apart from “home-grown” terrorists, who get radicalized on their own, European countries have over the past two years raised concerns over IS involvement in human trafficking in order to simultaneously get additional funds for terrorist activities and to recruit new members. IS has been deliberately sending its members and even providing funds for refugees to undertake their journey's to Europe in return for joining the terrorist ranks, according to security analysts. 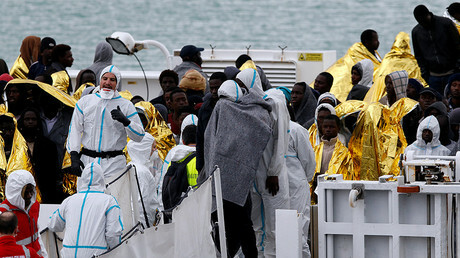 In 2016, more than 180,000 migrants were illegally smuggled by sea from Africa into Italy in boats, according to the UN refugee agency. Human smuggler rings may have earned up €6 billion in 2015 alone, according to Europol’s estimates.